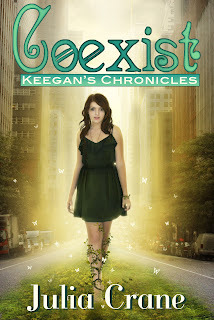 Reader Girls welcomes Coexist: Keegan’s Chronicles Book Tour to our blog today. Keegan’s Chronicles is a YA fantasy series written by Julia Crane. Book summary: Sixteen-year-old Keegan is struggling to keep her huge secret from her friends—she’s an elf, descended from a long line of elves that lives in secrecy alongside humans. In elfin society, mates are predetermined but not allowed to meet until they are 18. Against tradition, Keegan’s brother Thad told her Rourk’s name because his visions warned him she’d need Rourk’s protection, especially since Keegan will play a key role in the coming war between the dark and light elves. An ancient prophecy deeply entwines Keegan’s family in the future of their society. Depending on the outcome of the battle Keegan and Rourk may never have their life together. 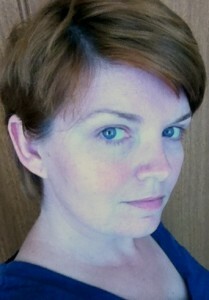 About the author: Julia Crane is the author of the Coexist: Keegan’s Chronicles. She has a bachelors degree in criminal justice. Julia has believed in magical creatures since the day her grandmother first told her an Irish tale. Growing up her mother greatly encouraged reading and using your imagination. Although she’s spent most of her life on the US east coast, she currently lives in Dubai with her husband and three children. Giveaway: We are offering one ebook copy of Coexist to a reader who comments below. Please leave your email address in order to be entered. The giveaway ends on midnight on January 2, 2012. Click here to see the Keegan's Chronicles Tour Schedule. We thank Julia Crane and A Tale of Many Reviews. I have this book and I am really looking forward to reading it. Thanks for the giveaway! I really want to read this book! This sounds like a great book and I love the book trailer! Thanks for the giveaway! Looking forward to the book!! Love the trailer.